CBD oil, or cannabidiol oil, has become popular recently, with many touting its many benefits — from pain relief, anxiety, convulsions, chronic pain, epilepsy, PTSD, fibromyalgia, endometriosis and even MS and Parkinsons symptoms. Cannabidiol is made from the hemp plant, which is a member of the plant family that produces marijuana. Unlike the cannabis plant that produces marijuana, the hemp plant that produces CBD oils has little to no THC. Unlike marijuana, or THC (tetrahydrocannabinol), CBD does not have any psychoactive properties and therefore does not produce the high that is seen with THC. In fact, CBD binds to and blocks the cannabidiol 1 receptor located in the brain that THC binds to, thereby preventing THC from producing a high. CBD also binds to or influences the cannabidiol 2 receptor, which is located all over the body and deals with the immune and nervous system. Since the human body produces its own cannabidiol-like substance, it appears that CDB oil seems to work by activating and helping the body’s own endocannabidiol system. This system, although poorly understood, is believed to help coordinate the body’s nervous system and help to make it work better when it is malfunctioning, such as with chronic pain. Therefore CBD oil can be seen as a nervous system-specific nutritional supplement. 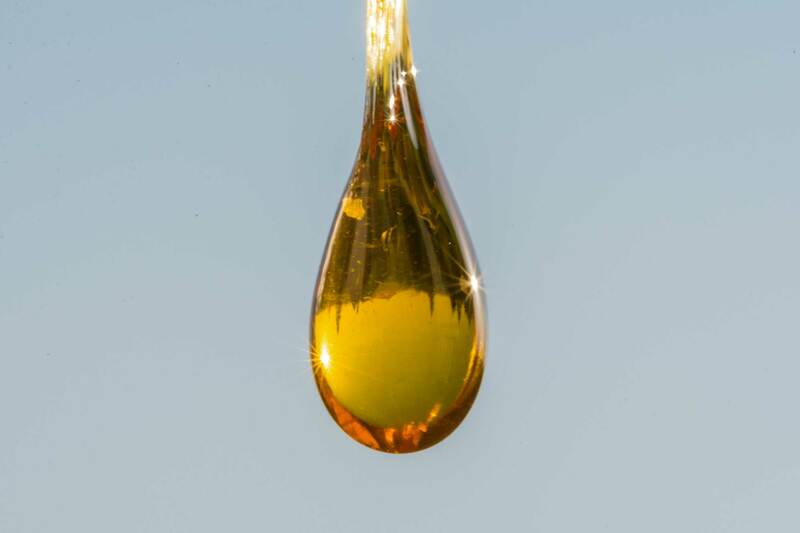 CDB oil is made by extracting it from the cannabis plant by either an alcohol soaking method or by the CO2 extraction method. In the alcohol extracting method the entire plant is soaked in alcohol, which causes CBD and other cannobidiols to mix with the alcohol as it leaves the plant. The alcohol then evaporates leaving behind the CBD and other cannobidiols. It is believed this method provides the full spectrum of cannobidiols for consumption unlike the CO2 method, in which the various cannobidiols are specifically extracted and separated for the specific CBD wanted. The full spectrum method is believed by some to be better since all the CBDs are extracted together and used together. CBD is often taken in many forms. These include as an oil extract that can be mixed with food and drink, a tablet or pill form, droplets, as an oil that can be rubbed into the skin or even as a spray. The exact dosing of CBD oil for its many uses in not completely determined. None of the small-scale studies done to date have found any adverse effects in adults or children who have taken CBD. Some studies have even found CBD to help patients with chronic pain since it seems to block the chronic inflammation seen in this condition. Other promising effects include decreasing the inflammation in the pancreas seen in Type 1 diabetes, blocking the inflammation seen in acne as well as blocking and kill some cancer cells. One of the more promising developments is in the treatment of Alzheimer’s disease, where CBD seems to prevent the development of social recognition deficits in patients with the disease. This could mean that CDB might be helpful in these patients from losing the ability to recognize people who are familiar. CBD also seems to be helping patients deal with anxiety and therefore might be useful in treating the anxiety in those patients undergoing treatment for substance abuse. Since CBD oil is not regulated by the FDA, the current recommended doses are just guidelines from practitioners and from patients who have used it extensively. For example, for chronic pain, the recommended dosage is 2.5 to 25mg by mouth for 25 days. Other recommended doses are 200 to 300mg daily for epilepsy, 40 to 160mg daily for sleep disorder, and 20 to 40mg daily for glaucoma. It is important that for patients who are taking CBD oil to have a detailed conversation with the health care provider who is prescribing their CBD about dosing and any side effects, so dosing can be adjusted.